RALEIGH, N.C. (March 18, 2019) – The American Kennel Club Canine Health Foundation (CHF) is pleased to announce that AKC Reunite has donated $50,000 to research and grants support related to infectious diseases that are on the rise in dogs concurrent with natural disasters, especially floods and hurricanes. AKC Reunite is North America’s largest not-for-profit pet identification and recovery service. In addition to reuniting pets with their families one at a time, they have several charitable initiatives such as the AKC Pet Disaster Relief Program. The studies supported by AKC Reunite will add to knowledge of infectious diseases and will become an important component of managing the health effects of disasters that impact people and their pets. This generous donation will support research into leptospirosis, antimicrobial-resistant infections, heartworm disease, and tick-borne disease. These focus areas for research tackle important health concerns on the rise in circumstances of standing water and other effects on pets and owners following natural disasters. Both CHF and AKC Reunite were founded in 1995 as affiliates of the American Kennel Club. This collaboration marks an important next step in working together to advance the health of all dogs and their owners. Since 1995, the AKC Canine Health Foundation has leveraged the power of science to address the health needs of all dogs. With more than $46 million in funding to date, the Foundation provides grants for the highest quality canine health research and shares information on the discoveries that help prevent, treat and cure canine diseases. 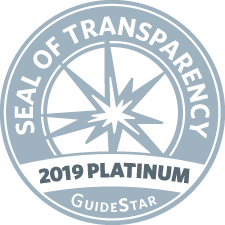 The Foundation meets and exceeds industry standards for fiscal responsibility, as demonstrated by their four-star Charity Navigator rating and GuideStar Platinum Seal of Transparency. Learn more at www.akcchf.org. AKC Reunite, an affiliate of the American Kennel Club®, is the largest non-profit pet identification and recovery service provider in the United States. Since 1995 AKC Reunite has helped pet owners reunite with their lost animals via identification and 24/7 pet recovery specialists, enrolling over 7 million companion animals and recovering more than 500,000 lost pets. AKC Reunite microchips are a popular choice of pet professionals throughout the country for permanent pet identification. The AKC Reunite Canine Support and Relief Fund has donated more than $8 million since 2001 for disaster preparedness and relief causes that impact our nation's pets. AKC Reunite also provides free recovery service enrollment for all active service, military, and law enforcement K-9 dogs. For more information visit www.akcreunite.org or follow us on Facebook (www.facebook.com/akcreunite).